1.) 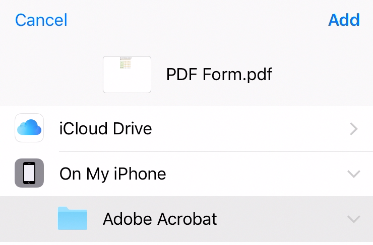 Download Adobe Acrobat to your iOS device. 2.) Locate the Files app on your iOS device and make sure it is connected to your iCloud account. 3.) Email the PDF you want to edit to yourself. 4.) 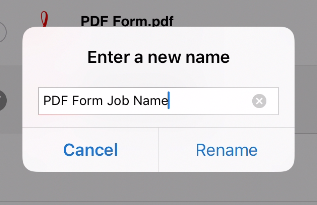 Select the PDF in the email then select the square box at the bottom of the screen. 5.) Select Save to Files. 6.) Select On My iPhone>Adobe Acrobat>Add. 7.) 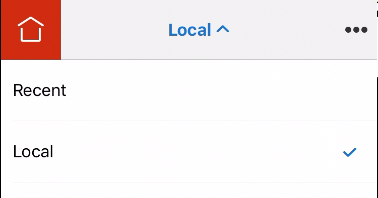 Open the Adobe Acrobat app and select Local>Local. 8.) You should now see your PDF listed. Now that the PDF is added to the library it can now be duplicated and used for each job. 1.) Open the Adobe Acrobat app. 2.) Select the button with three horizontal dots in the top right hand corner. 3.) Select the Select button. 4.) 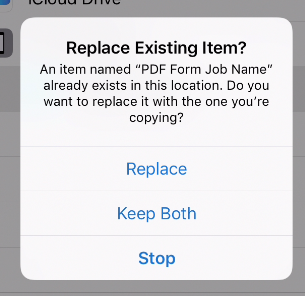 Select the PDF you want to duplicate. 5.) Select the Duplicate icon at the bottom of the screen. 6.) Now select the new form and then rename it using the rename icon at the bottom of the screen. 7.) Rename the document and select Rename to save. Now you will have a duplicate that you can use for your job. After filling out the PDF you can upload it to your project in Estimate Rocket as a file to have in your project. 2.) Select Save to Files. 3.) 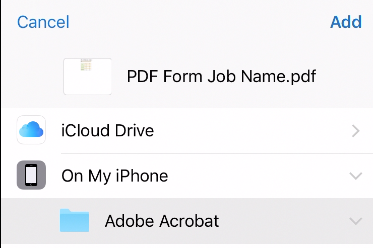 Choose the Adobe Acrobat folder then select the Add button in the top right hand corner of the screen. 4.) Select Replace to save it and then select Close. 5.) Open Estimate Rocket and navigate to the project you want to upload the PDF to. 6.) In the Files row of the project use the Green + button to add a new file. 8.) Select the PDF you created and then select Upload Files.